The government of Cuba has said on Saturday that the suspension of the United States of the 5-year visas for Cubans on the island is "an additional obstacle to the exercise of Cuban citizens to visit their relatives in that country." According to the Ministry of Foreign Affairs of Cuba (Minrex), USA "imposes high economic costs on family trips and exchange in multiple areas." But, for Cubans who live in the country and those who have emigrated to other nations, from Havana they do not facilitate travel either. The biggest obstacle to travel for Cuban citizens is the high cost of Cuba's passport, which is only valid for six years and is one of the most expensive in the world when compared to other countries. Between what it costs to get it out and the extensions every two years, the Cuban passport can go from 140 CUC for residents on the island to more than 670 dollars paid by Cubans in the US. 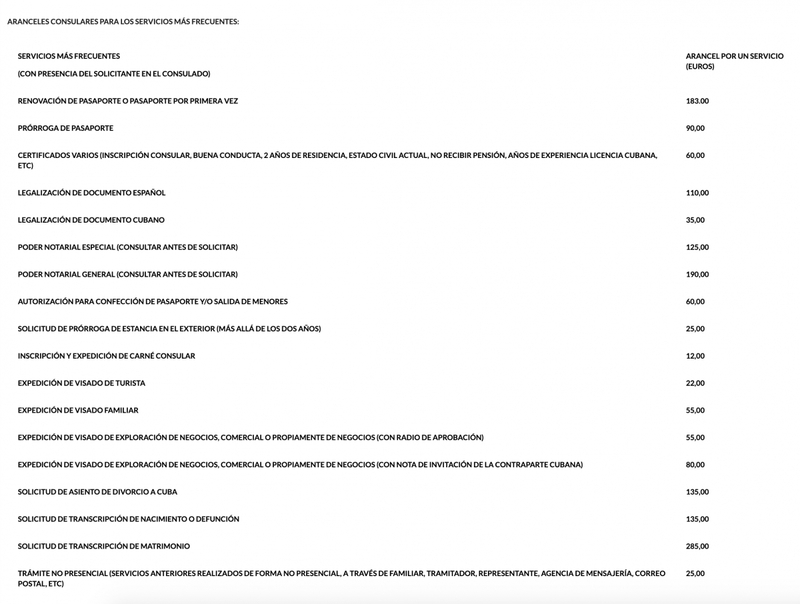 While Cubans on the island pay 100 CUC for their passport and 20 CUC for each extension, those living in the United States must pay 350 dollars in the Cuban embassy and 160 every two years. However, most Cubans pay $ 400 for a passport because they do so through agencies and intermediaries because they can not move to the Cuban embassy in Washington. Cubans living on the island, with an average salary of $ 30 per month, must earn more than three months' salary in order to pay the 100 euros it costs to pay for a passport, while Americans pay $ 135 to obtain a similar document. but with many more migratory advantages. According to the ranking of the Henley Passport Index 2019, based on data from the International Air Transport Association, the US passport. it is ranked 6th by the number of destinations to which Americans can go without visas, 174, compared to Cuban, in 75th place and access to a few dozen countries. The Cuban passport is at the level of African countries such as Cape Verde, Uganda or Zimbabwe, as well as the Dominican Republic, in terms of the need for a visa to access another territory. The most expensive passport in the world is Australia, which costs 282 dollars, followed by Turkey by 255, Switzerland, 182, New Zealand 168, Canada 161, the United States, 155 and the United Kingdom, 150, according to Traveler. However, those prices are adjusted to the pocket of the citizens of those countries, not as it happens in Cuba. What happens on the island can be compared to other nations that are at war like Syria, where his government raised the price of a passport for Syrians in exile to $ 500. But, before it cost only about 11 dollars. Cuba establishes for its nationals resident in other countries like Spain the cost of the passport in more than 360 euros, between the 183 euros of the renewal and the extensions of 90 euros each, according to the tariffs of the Cuban consulate in Barcelona. Thus, a Cuban who has Spanish nationality will have to pay only 30 euros for his passport from Spain compared to more than 360 for Cuba. 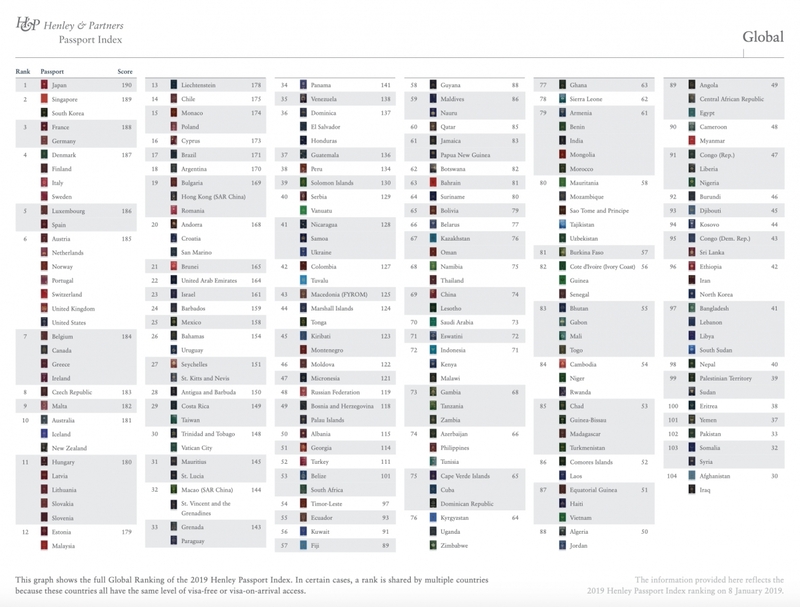 As specified by the Henley Passport Index 2019 ranking, Spanish allows visa-free access to more than 170 nations. In Venezuela, where hyperinflation breaks records, the Cuban passport costs 660,000 bolivars, 200 dollars a change, almost the full salary of three years in that South American country. 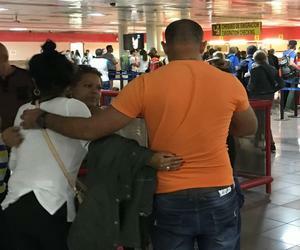 "For a Cuban emigrant in any country, making $ 200 can be a more or less difficult but achievable task, but in Venezuela it is an impossible mission," said a Cuban resident in that country to CiberCuba. By law, Cubans who want to return to the country must obligatorily pay for a passport from the island, even if they have another nationality. 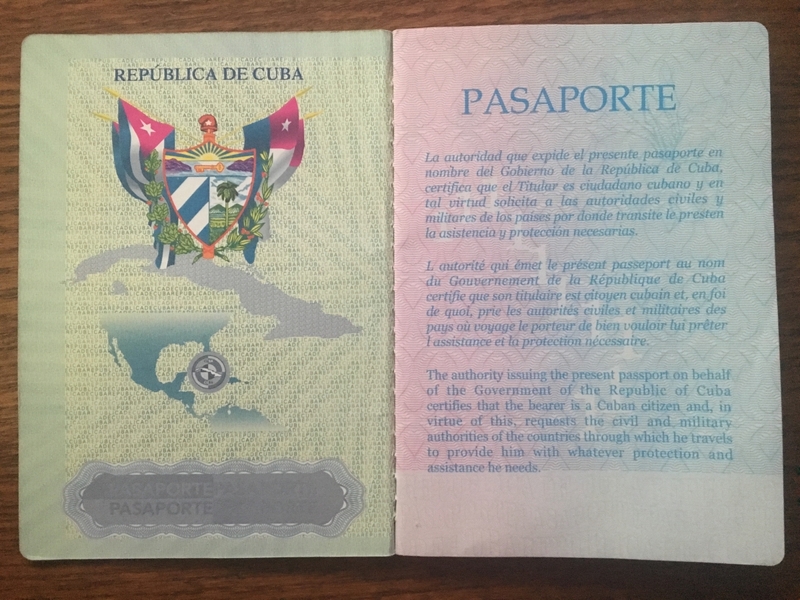 As established by the Law of Migration of Cuba in its Article 44: "To enter the national territory, Cuban citizens must have a valid Cuban passport, issued in their name or equivalent document." In the case of Cuban residents or nationalized in the United States, the Cuban passport is an extra cost to the plane ticket, the suitcases and the inexpensive stay in the Island. While for others, in countries as far away as Europeans or Asians, the flights they can be higher than a thousand dollars, depending on the time of year. These data do not pretend to ignore that from both sides of the Straits of Florida there are interests that limit the trips of Cubans, as well-known Cuban actor Luis Alberto García pointed out: "Loses this town that never was nor will be (less now) the chosen one of God, condemned to a bundle of years of solitude and without second, third or fourth opportunities on earth ".